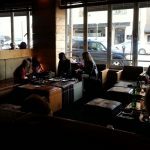 Ronin Sushi Royal Oak Review – Pics – review, pics, hours and menu info for Ronin Sushi Restaurant in Downtown Royal Oak MI. Ronin Sushi Restaurant in Royal Oak is located at 326 W 4th Street at the corner of Lafayette. 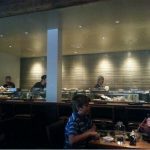 Ronin Sushi restaurant has a modern and chic flair and is a Royal Oak hotspot. 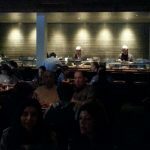 I went to Ronin as a fairly inexperienced sushi lover. The Ronin staff was incredibly helpful and knowledgeable. Our server was able to walk us through the menu and explain all the different options and sushi styles. 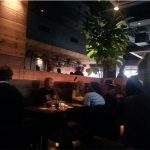 Ronin is also gluten free friendly and our server was aware of this and helped us with our selections, and also provided gluten free soy sauce. I enjoy eating out for sushi because it’s somewhat of an event. There’s the open sushi bar where you can watch the food being prepared. And, the plate presentation is nothing short of impressive and prepared with great attention to detail. 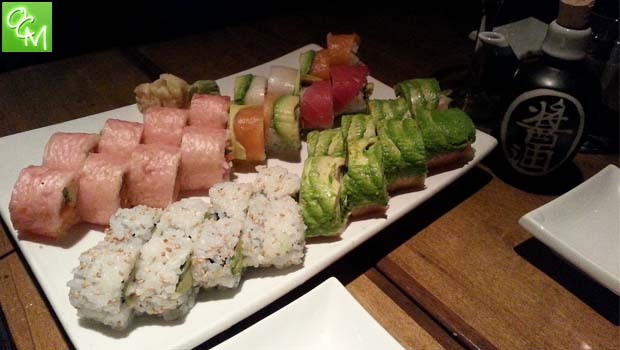 We ordered a variety of rolls… rainbow roll, shinto roll, avocado roll, and pink blossom. We were given an easy to use checklist to place our order. 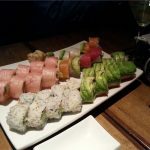 Even though there were non-sushi items available on the Ronin menu, we stayed with just sushi and drinks. Everything was beautifully prepared, fresh, quality, and tasted great. 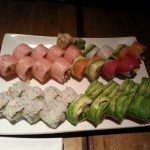 The biggest downside to eating sushi is that you can really build up a hefty bill because it’s rather easy to pop those tasty rolls into your mouth at a pretty quick pace. In addition to the conventional Sake, the drink menu is quite unique with other options such as the Spicy Mango Margarita which was one I’ll be back for! The Sake is numbered by sweetness… i.e. the lower the number the sweeter it is. There’s much to choose from and it’s served traditionally with an overflowing glass that spills into the secondary container to symbolize wealth. 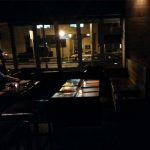 Ronin Sushi has a great layout. The sushi bar is located in one area with seating and more dining area seating. Then, there’s another area that is more set off to the side where you’ll find a bar with seating as well as lounge area seating. There’s many different options to suit your mood. 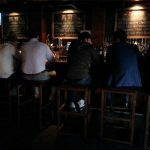 It’s also very dimly lit and there’s a modern use of wood in the decor throughout giving it a warm ambience.